Trends and fashions are most fascinating things that always require changes and in hindsight, they appear very clear. But, try to forecast them with a mixture of information, luck and intuition. If you are capable to predict correctly that where the things are moving and you are really willing to go back yourself, then only you can be positioned for the future. Since the years ago, web design and development is world famous and it has become the important part of online business. And, due to the growing paucity of technologies, it’s still changing constantly. At present, one of the interesting trends is to build responsive and flexible website design in order to being access sites on all mobile devices that never seen in the previous years. Life has changed drastically over the time, so it is a good approach to predict that where your business stands and what you need to do to wrangle with all the problems? The next, you need to consider is pattern means what pattern you should apply in your website to provide a high-visual appeal as well as desired user experience. Smartphone, tablet and iPhone usage figure is rising day-by-day. Everyone has mobile devices in this modernize world and its use has become skyrocketed now, which is rapidly overtaking desktop traffic. It forces designers to rethink and design such types of sites that are enabled to access on small screens or mobile devices. Therefore, it is necessary to build responsive web design to increase the visibility over all the globe. The look of designing a website responsive allows to be accessible on multiple devices using HTML5 technology and the latest version of CSS means CSS3. Use the large fonts to make it easier to read by visitors using mobile devices and smaller screens. The visibility of content depends on the fonts’ size. This is the reason that web designers prefer appropriate size of the content to increase the user experience. Web fonts have opened doors of creativity for the designers in the web typography. They are no longer limited with few styles as we have seen in the previous years. Now, websites are emerging with creative font use. Another interesting thing, web fonts are also available for print to use. But, the danger with artistic fonts is the readability. The fancy font may not be understood or read by visitors. In this situation, reserve the font for small highlights or headers. The mindset of designers, in the past years, has always focused on website design, then stick in the content. But, as per the current scenario, content is the king of website that helps in generating the trust in customer’s mind for your website. Therefore, use only unique content with the latest information related to your services. The combination of CSS3 and HTML5 is more powerful and it will even more useful in 2014 for various reasons. This combo offers a ton of possibilities to design an impressive website. You can compare today’s designing style with earlier days designing pattern and check tableless layout and pixel manipulation. Let’s take a bit of customization in the competitive marketplace. The entire world is inundated with branded companies and they are also looking for the ways to target niche audiences. Unique website design and customized brand images are quite noticeably with the help of technologies, like jQuery, CSS3, HTML5 and many more. Parallax effect, lightboxes for images, uses of multiple colors, blur effects and other interactive elements are common to customize website. Stripped-down navigation has become the today’s trend to grow popularity as well as visibility. Designers are partly influenced by condensed navigation for mobile and more focusing on navigation, icons & roll-downs that automatically shrink the page as you start to stroll down. Use dynamic backgrounds to make design highly impressive and visionary. You can definitely see this trend on many websites because it is generally reckoned on brands. 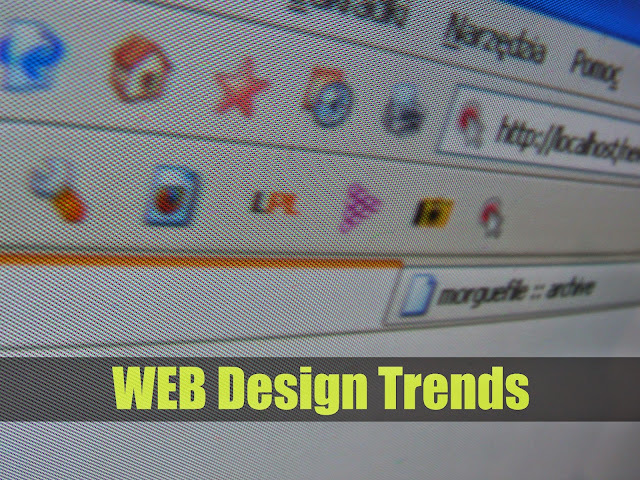 Be knowing the latest trend and what is coming, you can implement in your website design to get a better position or search ranking in 2014 over the most of the search engines. If you like this post, then feel free to share it because we welcome your valuable thoughts.